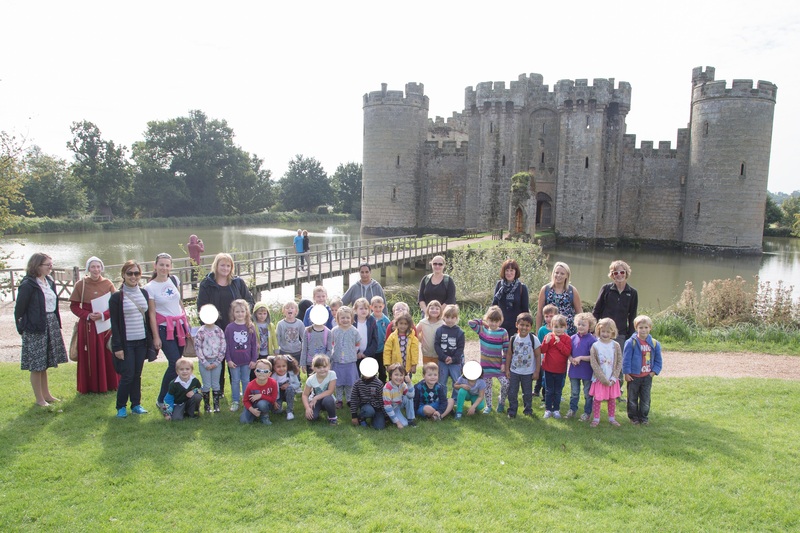 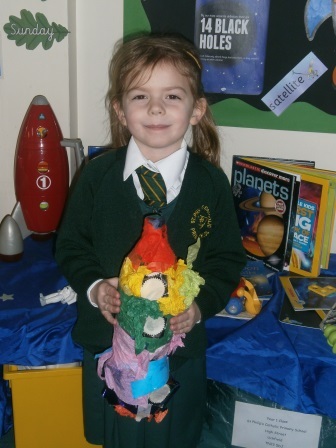 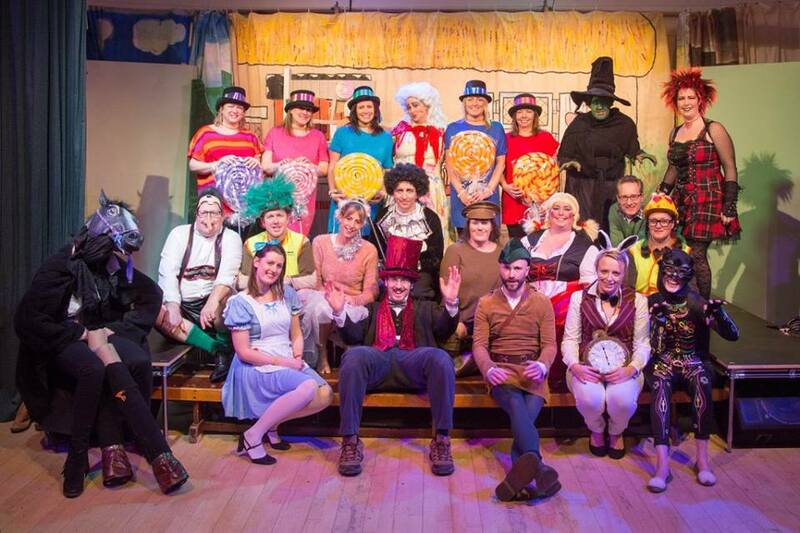 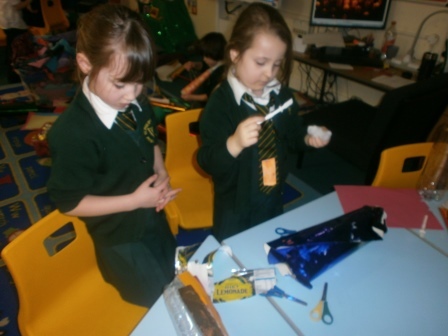 On Tuesday 19th February, Year 1 had a very exciting D.T. 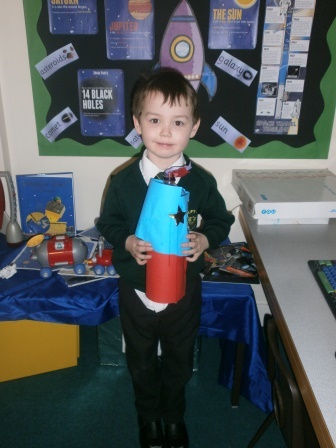 lesson where they made their own space rockets. 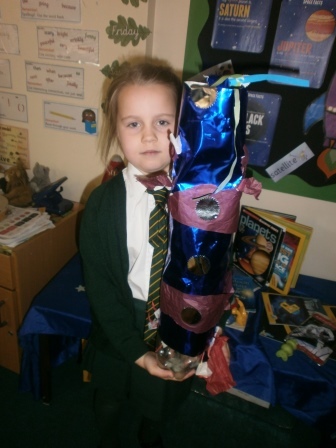 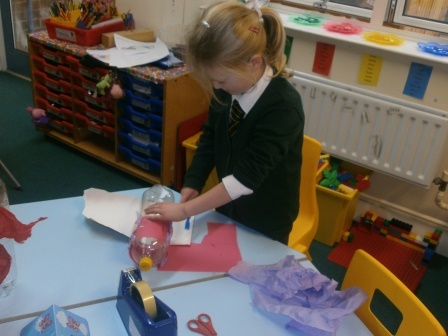 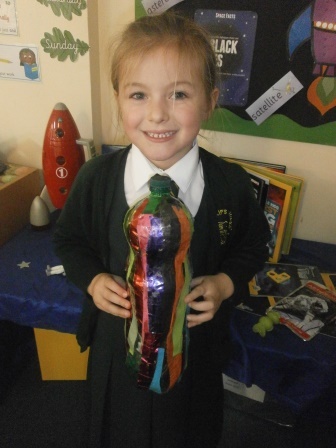 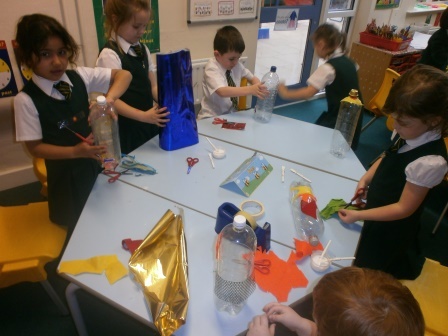 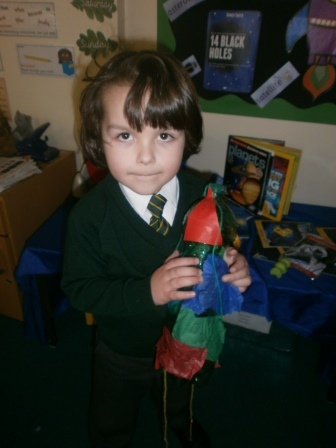 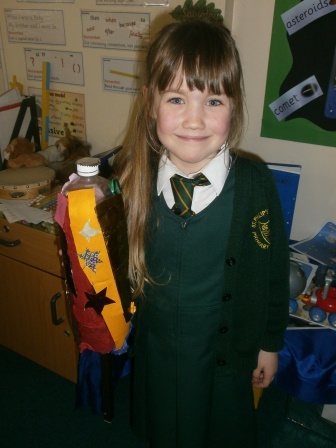 The children designed their space rockets before the lesson then using a variety of materials tried to recreate their designs using a plastic bottle as a starting point. 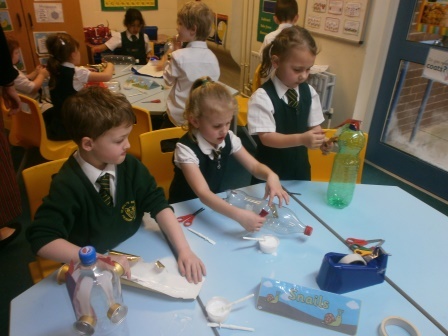 The children experimented with different ways of joining materials together.